Chances are good that if you’re a regular to HRWC blogs, then you’ve already heard about Senate Bill 78 that would prohibit the Michigan Department of Natural Resources (DNR) from taking actions that achieve or maintain biological diversity. In doing so, it would prevent the department from carrying out a central tenet of its mission to conserve and protect our natural resources. Biological diversity is critical to our environmental legacy and to the health of the Huron River system. The bill has passed the full Senate primarily along party-lines, despite the opposition of residents, professors from a number of Michigan’s universities, and environmental and conservation organizations. 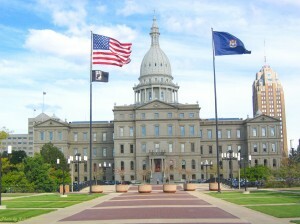 Aside from restricting the ability of the DNR to make decisions based on a basic scientific principle, the legislation could also jeopardize Michigan’s ability to receive federal funding for forest management, endanger our forest certifications and put at risk areas of our state that have long been appreciated by Michigan residents for outdoor recreation and their scenic beauty. The bill is now on its way to the House Natural Resources Committee. To share your views and concerns about SB 78, tell your State Representative to contact Rep. Andrea LaFontaine, Chairwoman of the House Natural Resources Committee, and urge her to stop this bill. SB 78 is anything but Pure Michigan. “State Senate bill puts forests at risk of disease, pests, environmentalists say.” Detroit Free Press.